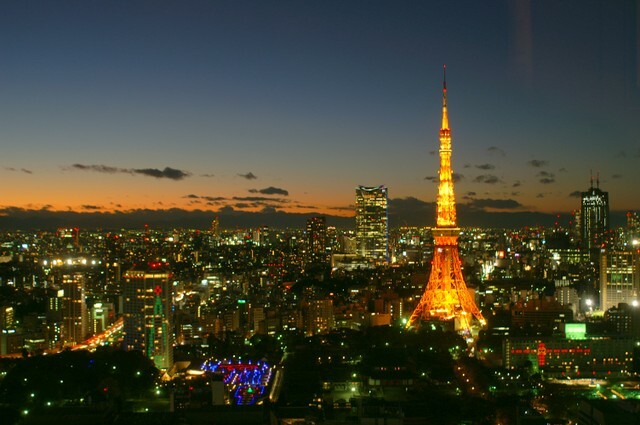 Tokyo tower is known as a symbol of Japan as well as a tourist spot of Tokyo. The tower acts as a support structure for an antenna, originally intended for television broadcasting, and radio broadcast, both signals for Japanese media outlets. 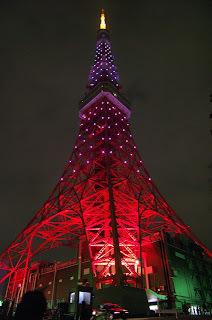 At night the Tower lights up and the illumination is spectacular. It is usually in reddish orange. But Tokyo tower also often changes its color according to seasons or special events/promotions. Here's a link to further color variations of Tokyo Tower that has ever illuminated. 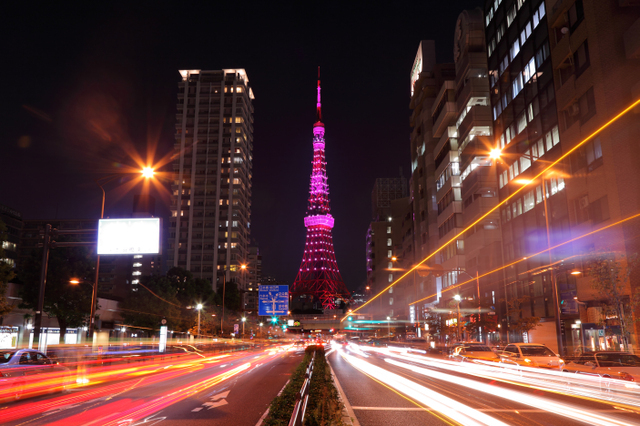 People enjoy these visual changes of Tokyo Tower throughout a year.